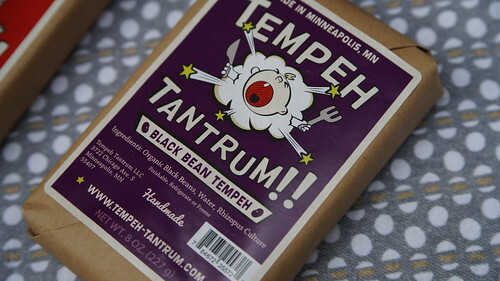 Tempeh Tantrum at the Mill City Farmers Market - Mill City Farmers Market 2018 - Minneapolis Riverfront Neighborhoods. 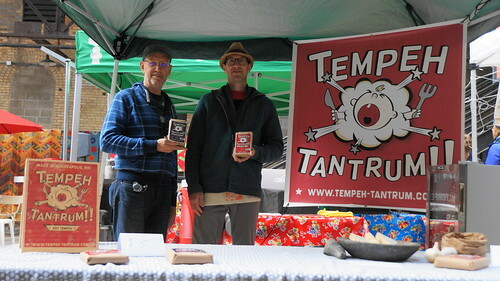 Tempeh Tantrum is a new Mill City Farmers Market vendor for the 2018 season, and owner Ryan Billig debuted his soy and black bean tempehs at the May 12 Market. 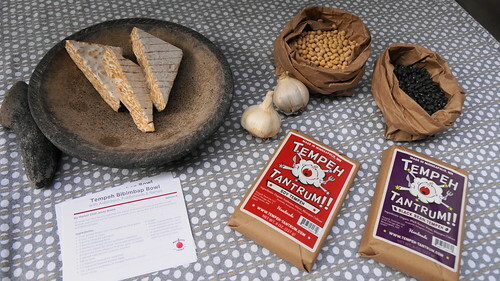 I first heard about this product a few years ago when Chef Jenny Breen used it for Summer Kebabs with a Sweet Basil Marinade at a Mill City Cooks demo. It's a versatile product that allows for a lot of creativity - check out the recipes on their website, or just wing it like I did! Look for them at the following MCFM dates: May 26, June 9 and 23, July 14 and 28, August 11 and 25, September 8 and 22, and Oct 6 and 20. 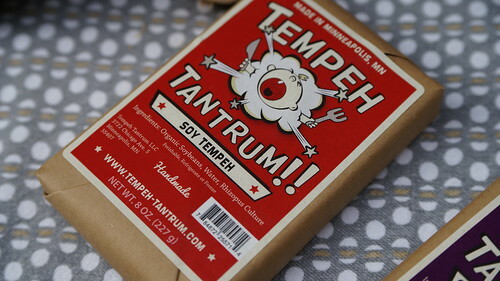 Follow Tempeh Tantrum on Facebook; email questions to ryanbillig@hotmail.com. Above, owner Ryan Billig (on the right), with friend Tom Carlson, who was on hand to help Ryan man the booth. I used both varieties when making a filling for lettuce wraps, along with fresh cilantro, spring onions, Ames Farm honey and Senoras de Salsa from the Market. I sauted cubed tempeh and chopped green onions in coconut oil, and once they browned up I add the cilantro, drizzled on soy sauce, honey, toasted sesame oil and fresh squeezed lime juice along with a sprinkle of sea salt. Because I planned to go heavy on the yummy salsa, I didn't bother with any further flavor enhancements. 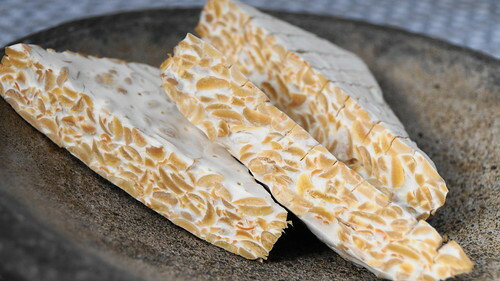 Similar to tofu, tempeh itself is bland, so you can turn it into anything you like with your favorite seasonings and sauces.